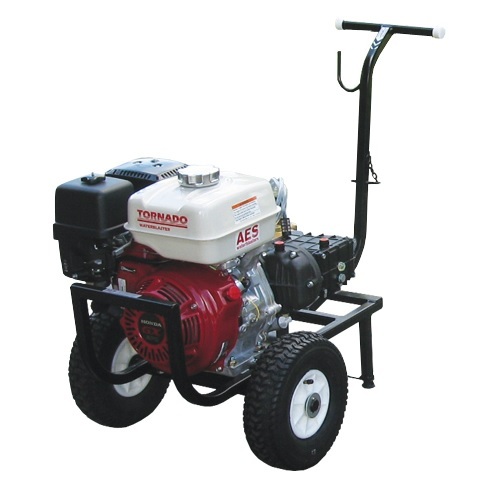 The AES Tornado Industrial duty range are supplied in a rectangular hot dip galvanized steel skid frame for mounting on Truck, Trailer or inside a Van. The new generation Honda V Twin OHV industrial petrol engine with fuel & oil filters, electric start & hour meter. Large capacity 23 Litre fuel tank gives all day operation from one fill. Low RPM UDOR crankshaft drive pump with triple ceramic plungers coupled to engine via Udor heavy duty reduction gear-box. Easy to access water filter with 50 mesh S/S element. 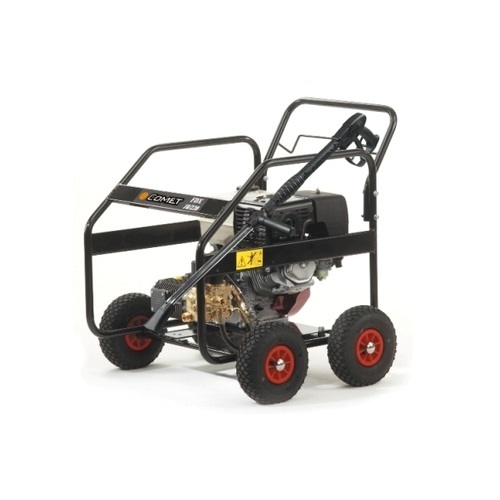 These are awesome machines for Contractors who requires a high work rate with low servicing costs. A powerful Industrial duty unit popular for surface prep prior to re-coating. 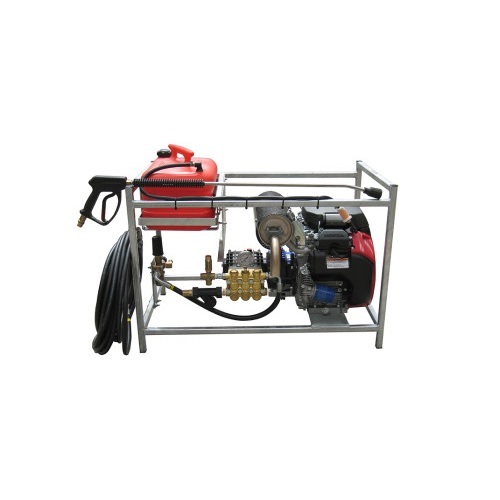 Ideal for the Contractor requiring a machine for drain cleaning & water blasting, offering high output, reliability and low maintenance costs.